Vision2Lead | Create Your Publication Strategy to Meet Career and Social Change Goals! Create Your Publication Strategy to Meet Career and Social Change Goals! Convert your academic work into publications! 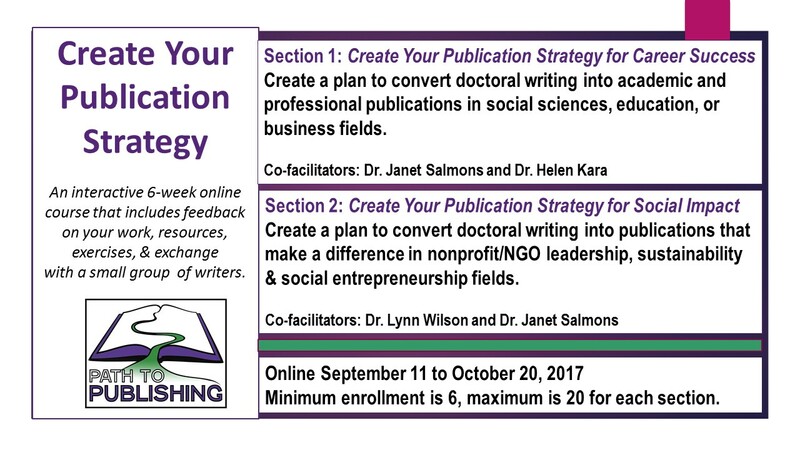 Join the Create Your Publication Strategy course and move toward your goals. Register for the September-October 2017 class at www.path2publishing.com. Questions? Send them to: info@path2publishing.com.